This is a day out that I remember for the wrong reasons: getting lost and breaking down several times on the way home! 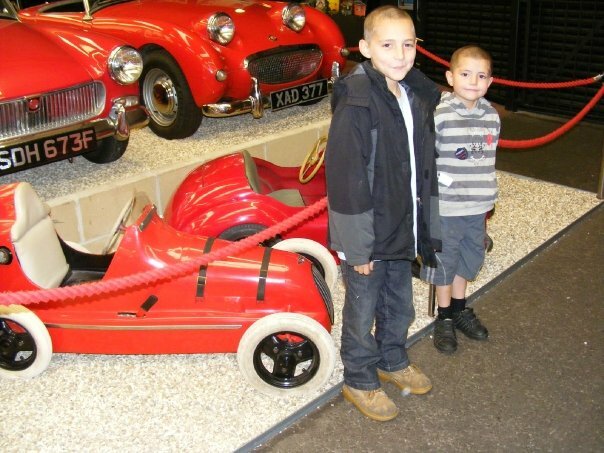 The prestigious Haynes International Motor Museum, at Sparkford in Somerset offers an excellent day out for everyone, as our photos show even my daughters enjoyed themselves. 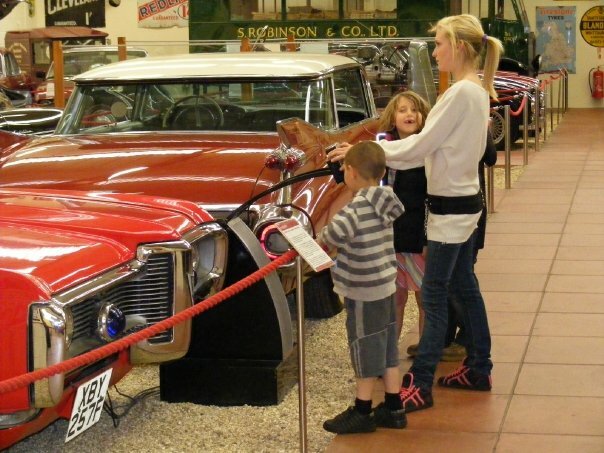 With more than 400 cars and bikes displayed in stunning style, dating from 1886 to the present day, it is the largest international motor museum in Britain. They spent quite some time in the arcade area too! Alex and Fred "Dad can you make us one?" Hall 2 – The Red Room has 50 beautiful red sports cars from around the world – Examples: 1981 Lamborghini Countach 400s / 1965 AC Cobra. If you retain your ticket you are allowed one free return entry into the museum. Dad and I have returned but only to the museum shop to buy some VW camper books! A lot of the places we’ve been to the family ticket is just 2 adults and 2 children which is a pain when you have 3 kids! Adding the extra child soon bumps up the price which is what we found when we wanted to go to Marwell Zoo but that’s another story for another day! Thank you for the comments about the Museum. It is always good to hear that visitors are having a good time when they visit. Allows unlimited access for a period of 12 months from the date of first issue, at times when the museum is normally open to the public except for up to five days when it may be in use for special events. We look forward to seeing you again at the Museum. Oh wow, I really didn’t realise that we had unlimited access lol. We drove all the way down from Southampton to buy VW Camper Van books didn’t go back into the museum because we didn’t have the kids with us. I could kick myself! I shall tell Dad the good news and you will certainly see us again – lots and lots of times! Can i just say that the Gift Shop is absolutely fabulous! Would you be interested in providing a free family ticket for a Fathers’ Day Competition for http://www.havealovelytime.com ?